David Brooks, the columnist I love to hate/hate to love, has done it again–published an essay that cogently covers an issue I’ve been ruminating on for the past half year. The article is titled The Shame Culture. 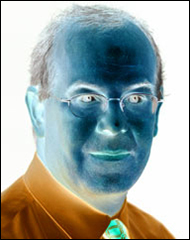 In it Brooks writes, “In a guilt culture you know you are good or bad by what your conscience feels. In a shame culture you know you are good or bad by what your community says about you, by whether it honors or excludes you. In a guilt culture people sometimes feel they do bad things; in a shame culture social exclusion makes people feel they are bad.” He cites the work of anthropologist Ruth Benedict. Stimulated by an essay by Andy Crouch published in Christianity Today last year, titled “The Return of Shame, Brooks goes on to ponder on how social media has created a new kind of shame culture. Now, I could get lost in the links here–the Crouch article quotes more pundits–but I’ll resist that lure and instead get to my own rumination on guilt and shame. One of my topics in that curriculum is “Skeletons in the Closet,” and boy, did it stimulate discussion–which brought out the difference between guilt and shame. Shockingly, I’d never thought to differentiate between these two emotions before. The stories read in those workshops brought that dichotomy vividly to light–and the changes that society went through in the 1950s-60s-70s in terms of the need for societal acceptance, as we moved from postwar homogeneity to battling discrimination and prioritizing individualism. Here’s what I learned in those workshop conversations: We grow up concerned about family “face.” Our tribe needs to be seen as upstanding citizens in its community. Or not. Yes, we are social beings; we care what people think of us. But we can also choose to NOT care what people think of us; we can prize our individual freedom higher than the regard of others. We will pay some price for doing so, and it may well be worth the cost. When we are writing for future generations, we are blinkered not just be what we know, but by what we feel is acceptable to tell. Do we need to include everything, even the guilt- and shame-inducing stories from our own and our ancestors’ lives? Or can we let sleeping dogs lie until the memory of them fades to black? I tell my students, it comes down to what offers a compass to live by. What passes on family values worth perpetuating? What provides information future generations need, in order to make wise choices? Brooks’ basic argument is that social media is a game-changer on the guilt-shame playing field. It is a “world of constant display and observation” that breeds intense desire for the approval of the community. He feels we’ve traded personal standards of right and wrong for desire for popularity and inclusion. We are perpetually insecure. “On the positive side, this new shame culture might rebind the social and communal fabric. It might reverse, a bit, the individualistic, atomizing thrust of the past 50 years,” he writes. Personally, I’m fond of the individualistic culture I live in. I don’t want to return to those repressed face-saving ways of the 1950s I hear about in my classes. Culturally, I’d rather see us design a new way to be in the world that respects individuality at the same time it honors the communal good. It won’t be easy–it might take consensus-building conversations that go all night. Accept that building a better world takes time. 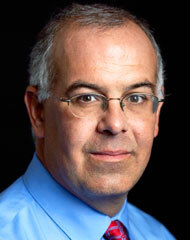 And this is why David Brooks is the columnist I love-to-hate, hate-to-love. He’s always coming up with observations on something I’ve already been thinking about–and then taking a position I don’t agree with. Even so, I greatly enjoy the food for thought. Has a guilt-culture or a shame-culture left its imprint on your family of origin? What happened? Has your use of social media ever prompted you to feel guilt or shame? Have you ever intended to produce those feelings in someone else? What happened, and why? 4 Responses to Shame or Guilt? Thanks for this, Sarah. I particularly appreciate that you encourage students to focus on: “What passes on family values worth perpetuating? What provides information future generations need, in order to make wise choices?” I’ve found that the most effective personal histories, legacy letters, ethical wills, etc., offer uplifting, helpful, illuminating perspectives on one’s life. It’s not that the shadow side can’t be acknowledged (it can!) but the upshot should be an affirming take-away of some sort. There is a good writer who has dealt with this subject, John Bradshaw. He talked about the difference between shame and toxic shame. He has one book, Family Secrets you might enjoy. This is such an interesting post. Social media brings on/reflects perpetual insecurity. Maybe that’s why I’ve been turning away from it lately. Definitely food for thought. Thank you for sharing….